Home to the largest alpine lake in North America, Tahoe lies in the majestic Sierra Nevada Mountains on the border of California and Nevada. Enjoy mild, clear summers and snowfall November to April. 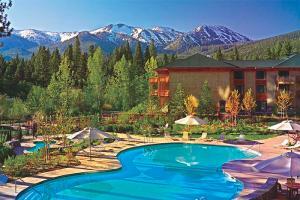 Tahoe vacations offer outdoor fun year round. North Lake Tahoe, California Our 4-Star classification designates those properties with well-appointed, deluxe accommodations, extensive amenities and comprehensive guest services. Expect attention to detail and a warm and hospitable staff ready to cater to your needs. These superb properties offer a truly refined getaway. 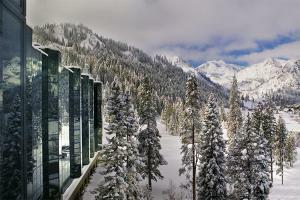 Nestled within the Sierra Mountain Range, the stunning locale of this hotel is the ideal setting for year-round pampering. 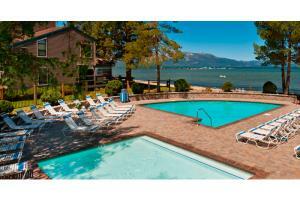 South Lake Tahoe Our 3-Star classification designates those properties where guests experience an ideal mix of comfortable accommodations and modern amenities. Most of these hotels feature a variety of services, and offer distinguished style and comfort. This tranquil and luxurious all-season condominium resort is set on a private sandy beach. Lake Tahoe, California Our 4-Star classification designates those properties with well-appointed, deluxe accommodations, extensive amenities and comprehensive guest services. Expect attention to detail and a warm and hospitable staff ready to cater to your needs. These superb properties offer a truly refined getaway. 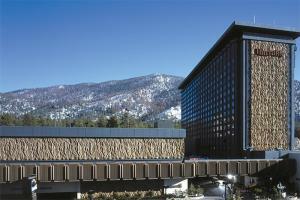 Elevate Your Adventure at Harveys Lake Tahoe, the very first casino hotel built on the South Shore. West Lake Tahoe Our 4-Star classification designates those properties with well-appointed, deluxe accommodations, extensive amenities and comprehensive guest services. Expect attention to detail and a warm and hospitable staff ready to cater to your needs. These superb properties offer a truly refined getaway. Nestled at the base of Squaw Valley, this all-season mountain resort offers the experience of a mountain home with full-service amenities. 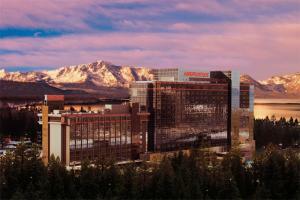 Harrah's Lake Tahoe is a one-of-kind destination in the region, with welcoming guest rooms, exceptional restaurants, a world-class swimming pool, spa and casino.